Home > Blog > When Should I Take Social Security? For some clients, Social Security can be a significant part of retirement, providing a lifetime supply of guaranteed income that doesn’t depend on markets and adjusts to keep up with inflation. With Social Security tax advantages, some retirees may receive benefits free of taxes. 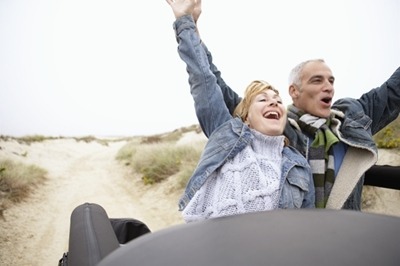 Social Security benefits provide more than half of retirement income for 53% of couples and 74% of individuals, according to Putnam Investments. Statistics prove that many people rely on it for income after they retire, as it can act as a stabilizing factor in market downturns. Age and Social Security go hand-in-hand, so it’s important to consider how the age that a client begins receiving benefits impacts the size of his or her check. There are three significant ages for collecting Social Security that will affect the Social Security check amount. Full or normal retirement age. This has risen from age 65 to age 67, dependent upon the year that the individual was born. If a client was born in 1943-1959, the age to receive full benefits is age 66. If an individual was born in 1943 or later, for each year beyond their FRA, Social Security benefits and the base benefit are increased by 8%. Today, workers should plan for a much longer time period in retirement than for past generations. People are living longer lives and it may be necessary for workers to plan for 25-30 years in retirement. Therefore, the timing of when to start receiving Social Security benefits is something critical to fully understand. Identifying the appropriate time to claim can have an effect on financial success after retirement. Franklin Templeton offers the following scenarios. In the past, spouses who are the primary wage earners in their household have typically taken Social Security benefits before FRA. However, this exposes the surviving spouse to longevity risk. Married couples are eligible for strategies that combine spousal benefits with a delay in retirement benefits. In some cases, this means a considerable increase in lifetime and survivor benefits. Determining the right time to apply for Social Security also depends on the couple’s financial and tax circumstances, ages, and life expectancy. This can be a significant discussion for advisors to have with clients to help them understand when the best time is to claim benefits, and how to claim, depending on their individual situations. The marriage lasted 10 years or more. The ex-spouse is eligible for Social Security benefits (even if they haven’t filed for benefits yet). The spouse making a claim on the ex-spouse’s record is unmarried and age 62 or older. On the other hand, widows may receive benefits as early as age 60. However, if benefits begin at age 60, they will be 71.5% of the full amount and based on the deceased spouse’s earnings. As discussed before, delaying Social Security benefits as long as possible will likely benefit and lead to a greater amount for the windowed individual. Unlike retirement benefits, survivor benefits do not increase if claimed after full retirement. It can be hard to discuss many of the things associated with aging — health concerns, legal issues, long-term care options, and how wishes will be carried out. The decision on when and how to file for Social Security is one of the most important financial decisions a client makes in his or her lifetime. According to Nationwide, the benefits that Social Security creates can sum up to 30-40% of total income that clients receive throughout retirement. Connect with us on LinkedIn and visit Cadaret, Grant for more information.